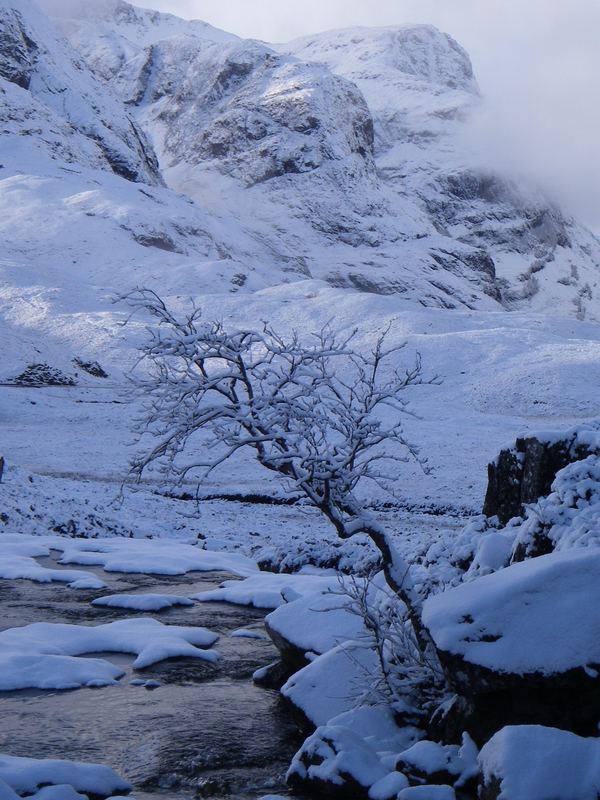 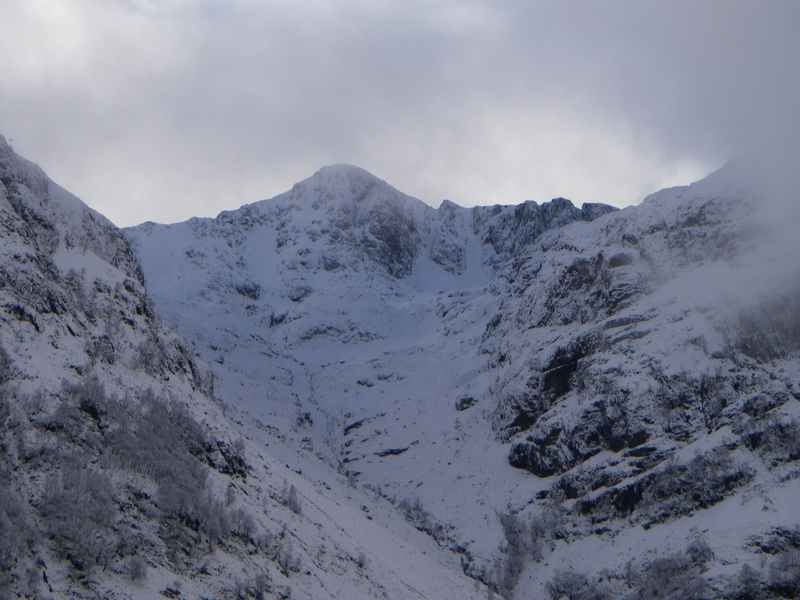 New snow fell overnight and this morning, it became clear for a spell before the showers resumed. 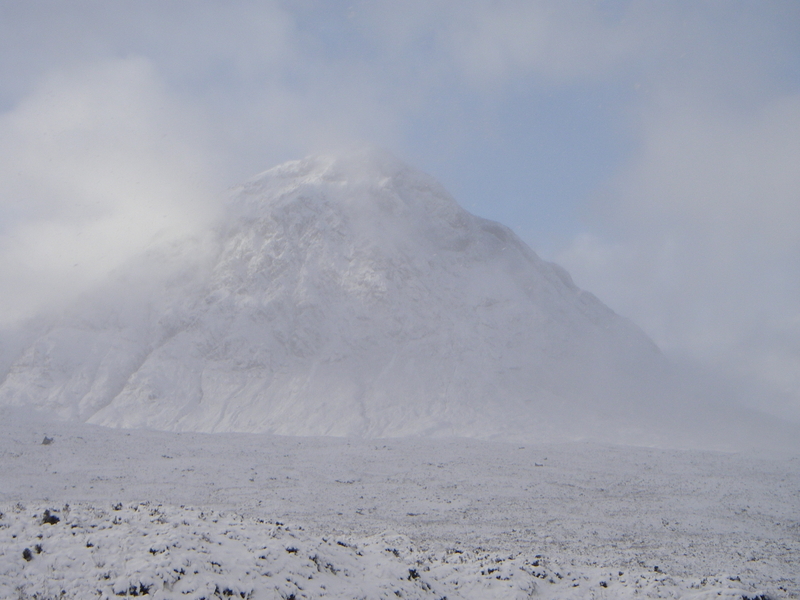 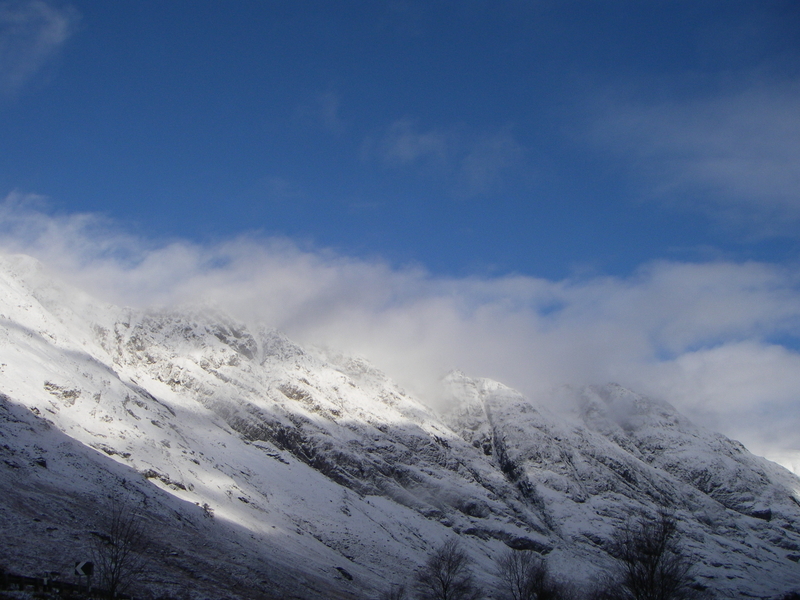 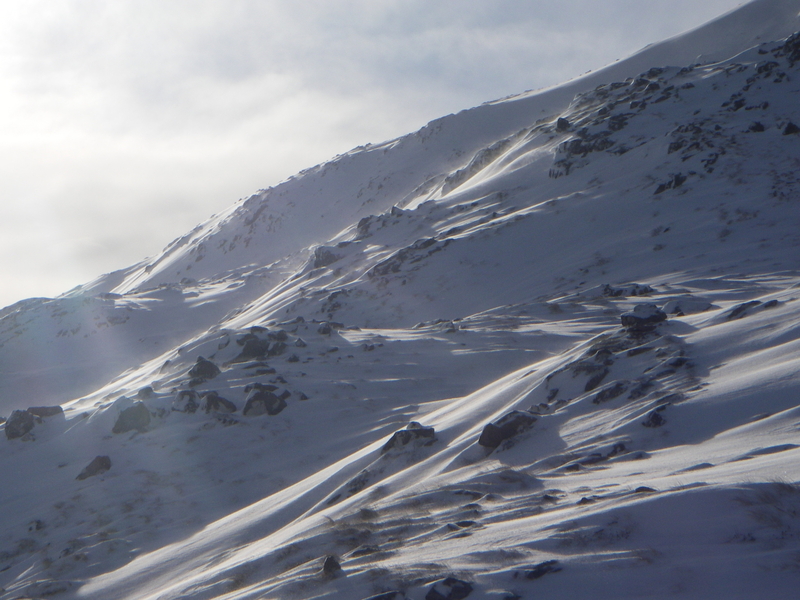 Easterly aspects of Meall a Bhuiridh wind transport of snow. 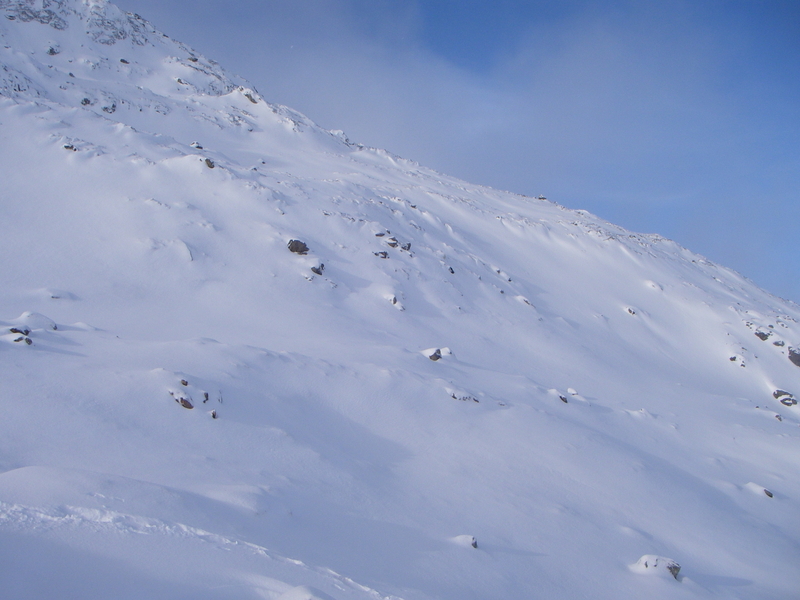 Deeper accumulations of soft windslab on Easterly aspect at 900 metres on Meall a Bhuiridh.